When you are sick, there are many things which you can not do, or are scared to do. While i was in hospital, i was not allowed any form of exercise. At times i was in a wheelchair, not allowed to walk the short distance from the sofa/dayroom to my bed. I had an activity monitor on me for long periods of time (had it on for 3 days in a row, and then a week later would have to have it on again and so it continued). I had no option/choice in what i was allowed or going to eat. Or what i was going to eat. I have never been a fan or liked eating red meat. Bacon, sausage, beef... i don't like those foods. Not even as a child. But while in hospital, even though i said no, that i had never liked them. 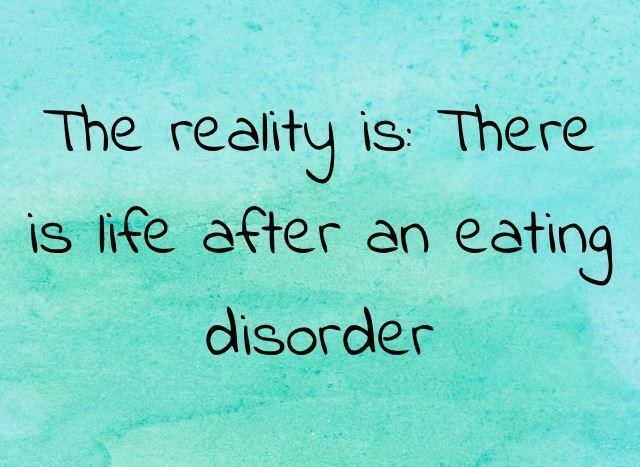 I was forced to eat them... because when you have an eating disorder and are in hospital, you can't have foods that you don't like/won't eat. Infact i have learnt, if you say that you dont like/wont eat a certain food, you will more than likely have to eat that food several times. I had certain times which i had to get up every morning, and a time which i had to go to bed. 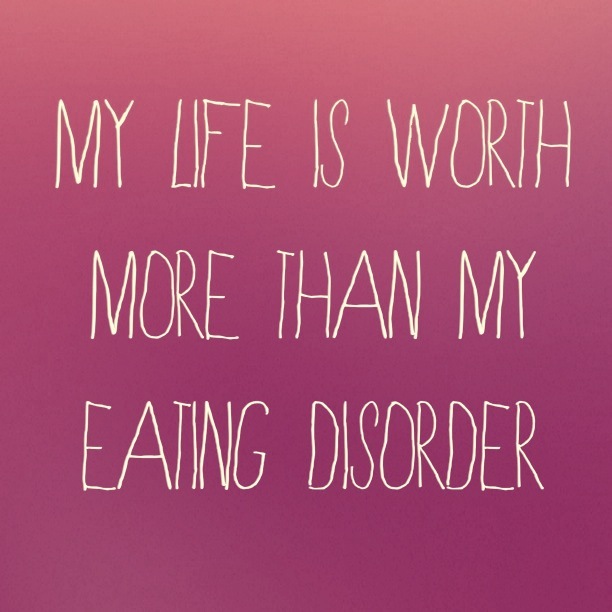 Though because of my ED, i barely slept most nights. Scared of sleeping infact... a very sick thought, and it turned into a sort of compulsion, that i wouldnt let myself sleep. There were also things which i would not let myself do... i.e sleep. I wouldn't let myself eat, rest or spend time with my family. I distanced myself from everyone. Hardly reachable over facebook/messages/mail. Though that was for a number of reasons. I did not meet with friends outside of school, or in free time as that interfered with my routines and habits. But all of those things, they are in my past. They are no longer in my present. I have a good relationship with both friends and family. I have alot of contact with my family/friends in other countries. And as much as possible... (fine, ok not really) but when i can anyway, i spend time with my friends and family. I may not be the most social person ever, but i do enjoy time with friends and family!!! Also... exercise. While i was sick, i thought that i would always have my obsession/compulsion with exercise. To constantly move/fidget/exercise. Never sit still...infact, not even sit at all. The times that i was not in hospital, i.e when i was a day patient and at home on weekend/evenings, then i was constantly moving... i didn't sit down - a very sick thing. I didn't allow myself to rest. I pushed past my bodies limits all day, everyday. Now... now i have the balance with exercise, rest and food. I workout often, that is nothing something i lie about. I am open about that. My family and friends know that. And of course, i have had many conversations with my mum, where she just checks up on how everything is going. Reminding me that exercise is something which should be enjoyed and not something forced. But that is like my motto. That is basically what i preach to others. When it comes to exercise, that is pretty much the only rule i follow. 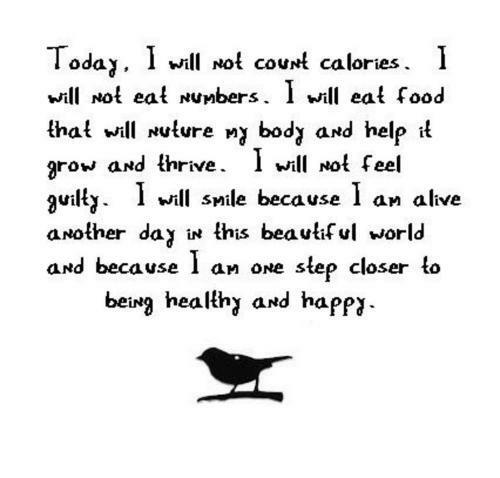 If i dont feel like exercising, or dont enjoy what i am doing... theni dont do it. There are days where i am too tired, stressed, unmotivated to exercise. Then i dont... I often change my workout routines so that i don't get bored. But i love what i do. I love working out and exercising.. not because im trying to change my body. Or have all these exercise goals im trying to reach, but just because it makes me feel so damn good!! Exercising after you have been sick, is for some people a big no.no or for family memebers and doctors anyway. They are very vary of when someone who has been sick starts to exercise. Because exercise is something which can very easily be abused. To find that balacne, where you trust your body. Where you allow yourself to rest, but also to enjoy your workouts. To enjoy moving your body, and then nourishing it properly. That is a hard balance to find. But you know what, if you enjoy exercising then you will someday be allowed to do it again. I know when i was on complete bed rest i hated it. I thought iw ould never be allowed to exercise, something which i very much enjoyed - though at that time it was for the wrong reasons, and more of a compulsion than an enjoyment. But i had however played basketball and gone for runs before i became sick, and that was something which i really enjoyed and wanted to start doing again. Believe it or not, its you who dictates how long you are sick and what you are missing out on. And yes, i know...Recovery is not easy. I myself have recovered from anorexia. But... i do know that to recover, it is up to you. It is your choice... and making that choice is hard. It is a mental disorder, you have both control and no control. And even if at times, it feels like nope... ill never recover, because i cant make the decision to recover... then remind yourself that you actually can. You just have to want to. And now back to the main focus of this post.... Just because you have been sick before, not been able to do thigns... that doesnt mean that you wont be able to do them again. Infact, when i meet new people i dont tell people that i have had an ED, or that i have CF... why, because i dont want to be judged. Do you really think they would judge you for your history of ED or for having CF? The way you have responded to those experiences is one of the most glowing signs of your strength and character and what makes you not only you, but the version of you that hundreds of people look up to. Is it really helpful to hide it? Also, a question that is just from curiosity: sometimes you write about having friends who have had EDs and recovered, -- how do you know those people, since you don't tell your school friends? No I am sure they wouldn't judge me negatively, but at the same time I don't think it is so important to mention. "We are not responsible for our disease, but we ARE responsible for our recovery." That quote is from a 12-step fellowship and is very true for EDs as well.